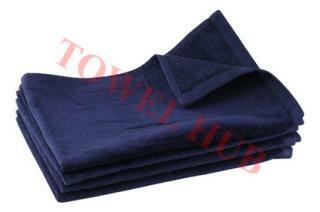 Description: Terry Velour Navy Blue Hand Towels in Bulk. One side of towel has terry loops and other side is plus velour. Ideal for any high-end use. Add a Brass grommet & hook to make a Golf Towel. Available at great prices here!!! You can also personalize this towel with our Custom Embroidery service. Description: Terry Velour Burgundy Hand Towels in Bulk. One side of towel has terry loops and other side is plus velour. Ideal for any high-end use. Add a Brass grommet & hook to make a Golf Towel. Available at great prices here!!! Description: Terry Velour Hunter Green Hand Towels in Bulk. One side of towel has terry loops and other side is plus velour. Ideal for any high-end use. Add a Brass grommet & hook to make a Golf Towel. Available at great prices here!!! Description: Terry Velour White Hand Towels in Bulk. One side of towel has terry loops and other side plush velour. Ideal for any high-end use. Perfect to Screen Print or Embroider on. Add a Brass grommet & hook to make a Golf Towel. Available at great prices here!! Description: Terry Velour Hand Towels in Bulk. One side of towel has terry loops and other side is plus velour. Ideal for any high-end use. Add a Brass grommet & hook to make a Golf Towel. Available at great prices here!! !